Though my posts make it seem like I’m vacationing somewhere, I seem to fail at mentioning the key word study when I tell people that I’m abroad. I have been in classes for about three weeks now, and I can honestly say my expectations have been surpassed. When people mention the study part of “study abroad,” it’s normal to here, “It’s a joke,” at the same time. This has been the furthest thing from the truth at DIS. DIS prides itself on using integrated teaching approaches that combine lectures in the classroom to practical field work around Europe (as evidenced by the study tours and accompanying seminars at local institutions during Core Course Week). For example, DIS does not schedule classes on Wednesdays–which are reserved for field studies for all classes. Aside from being in a different country, DIS classes are taught very differently than my classes I’ve taken at Bowdoin. Professors aren’t really professors here. They ask you to call them by their first names, a traditional practice in Danish education that attempts to foster egalitarianism in the classroom. After all, don’t you think you would learn more from someone who treats you like an equal and a friend? Something unique to DIS is that all their professors are either part or full-time employed in institutions in their respective fields. That is, many aren’t actually professors because they don’t teach for a living–they work in the field for a living. One of my professors, for example, works for HIV Danmark, an NGO that aims to treat ailing HIV+ patients in Denmark. 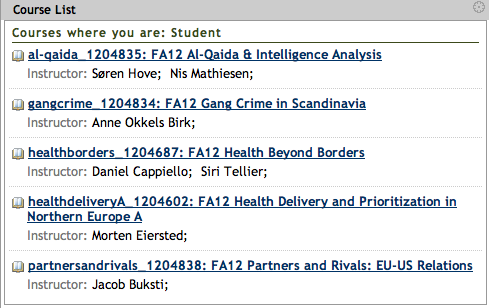 Additionally, a former member of the Danish Parliament teaches my EU-US Relations class. This would sound strange to many in the American education system because educators there oftentimes make a living educating full-time. DIS’ approach, however, is to provide a classroom experience that is closely intertwined with professional fieldwork. By hiring teachers that work part or full-time in the field, DIS provides students with a pre-professionally guided education. It aims to introduce students to their preferred fields of study not just through academics but also through practical, real-world fieldwork. Because DIS operates under the objective to provide students with real-world experience in their respective fields of study, the types of classes I’m taking differ slightly from the liberal arts classes I’ve taken at Bowdoin. For example, my core class, Health Delivery and Prioritization in Northern Europe, is a specialized public health course that focuses strictly on the field of health delivery in Europe. I’m more accustomed to classes that integrate many fields of study because of my liberal arts education, but I’m enjoying these types of classes a lot more than I was expecting to. Even the lack of campus at DIS has been an uncomfortable yet amazing change. 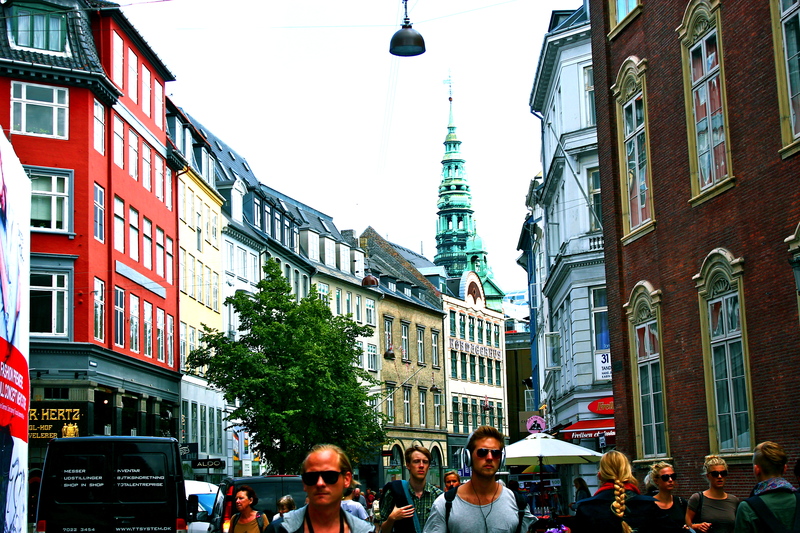 Far from waking across a quiet quad to get to classes, I walk through the crowded, pedestrian-friendly streets of downtown Copenhagen to enter a tiny building where some classrooms are located. Car horns, loud music, and screaming can be heard throughout class. But walking out of the classroom and finding myself in the middle of a busy city street has been a surreal experience. Change is scary, but just sometimes, it’s for the better…even if it doesn’t last forever.